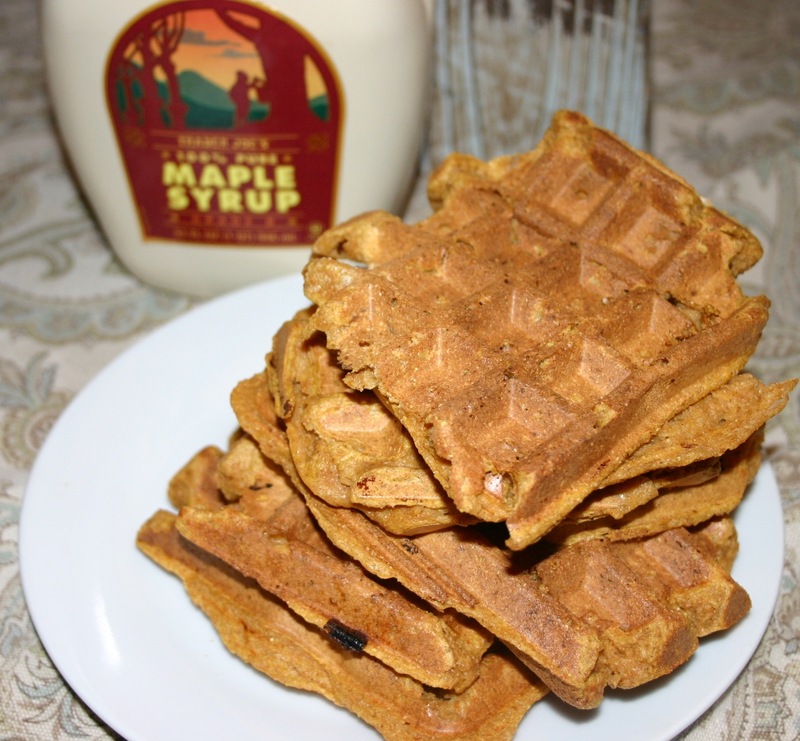 Pumpkin waffles might seem like fall-season foods gone overboard, but then you must have never made a recipe with canned pumpkin. Rare is the pumpkin recipe that uses more than half a can of pumpkin, leaving lonesome cups of pumpkin puree regularly in my fridge. Just the sight of them begets creativity. And once in a while, the new recipe is perfect. Use up the other half of your can on these pumpkin cookies. Combine dry ingredients: flour, baking powder, salt and spices in a large bowl. Add eggs, milk, pumpkin, yogurt and syrup and stir. Pour into a waffle maker as directed. If you don’t have a waffle maker, reduce the milk to 1/4 cup for a thicker mixture and make pancakes. just found this recipe. Thought it was something you might like to tinker with. I am going to make it tonight for breakfast. the variations look good too. happy eating!! !